Learn German in a funny and successful way! Make your study easier and learn fast and effective with us! 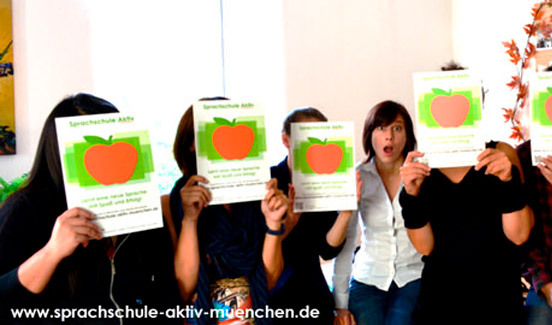 German language courses in Munich: Our German language school “Sprachschule Aktiv” is your specialist for the German language. You will find all relevant information further below – choose the course that fits your personal needs! Along with the German classes covering all levels from A1 to C2, you will get the opportunity to book a room or a flat. Take a look at the price list – learning German should not be expensive, after all. Learn German in Munich-Germany. You may choose between three types of classes: Intensive, evening classes, and private tutoring. Intensive courses are available for beginners as well as advanced students. You choose! The courses take place in the morning or in the evening – according to your schedule and other plans for your stay in Munich. More information about Intensive Course and Semi-Intensive. Our evening classes are offered once or twice a week. Our intensive courses cover a period of between one week and four weeks, in accordance with your level and your personal aims. 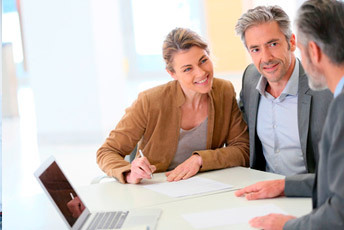 In some cases, private tutoring may be the best choice if you want to learn really fast. You can find more information here! We would recommend you to book private tutoring if you want a flexible timetable and an individual approach. You can find more information here! German Language School in Munich – Fantastic Location! We will find the right accommodation in Munich. Accommodation with a host family, a room in a shared apartment, a hostel or hotel in Munich. Further information here! In case you need a visa, we are willing to help you. There are special visa issued to those who take part in a language course – do not hesitate to enquire how we can be of help in your case. More information here. Our school does not only provide German classes but is proud to offer a variety of free time activities which will help our students get a glimpse of what German culture and everyday life is all about. 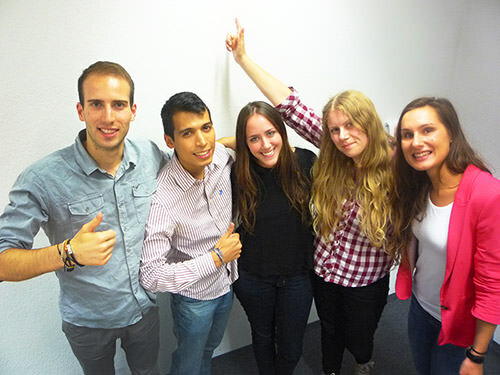 There is also the opportunity to combine your German course with an internship in Munich. Learn the German languge and apply it – this is ideal! 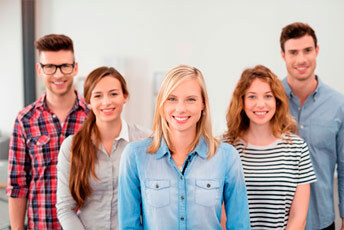 All our teachers are qualified, motivated and willing to show you the beauty of the German language. Enjoy your stay at our school which is located near a beautiful park. An unforgettable experience is waiting for you! Why learn German in Munich? Reasons to learn German in Munich.